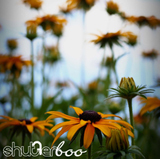 shutterboo (n.) – ¹ A blog created to share a shutterbug’s struggle [and success] with photography and chat about life as she knows it. ² A bunch of random crap accompanied by pictures. ³ This girl. Right here. Welcome to my blog! You may notice that I haven’t updated my posts since about July 2010. And it’s because I’ve moved. i went through ur blog.. its really lovely and i enjoyed reading it . Your blog snd photos are great. welcome to WordPress! It’s great to find other photo-lovers on here…you’re off to a great start making the homepage! Great blog! I love Canons, too. I tried several cameras recently and settled on an SD1100. Oh, and I LOVE black and white dogs. I have two of them. They’re the best! Brook, dear, I think you’re adorable, and I’m pretty sure we’d be friends in real life. You’re blog is precious, and we appreciate you checking BOUCHED out today. Keep reading, and thanks again for your kind comment! Oh oh oh, and I love the Steel Magnolias reference in the header. LOVE! this is a great blog and I love your photography! Keep it up! I got so happy when I got your comment because I just created this blog about a week ago and you are the first person to leave a comment…yey! I just went through your blog and I simply love it! Keep it up! I’m adding it to my Blogroll for sure! By the way you seem like an awesome photographer! Have you tried posting your work on http://www.myshutterspace.com? Love reading your posts…think the Ferrari is hilarious! Hope to get to know you more! Feel free to read mine (I’m just starting this whole blog thing!) LOVE your pics! oops! meant to post my blog 4 u! Hello! This is Chris from Shutter Sisters and you’ve won the drawing for the custom made flip flops! Can you email me so I can get your name and email addy? I can’t find an email for you and I want to update the SS post with your name! Thanks!